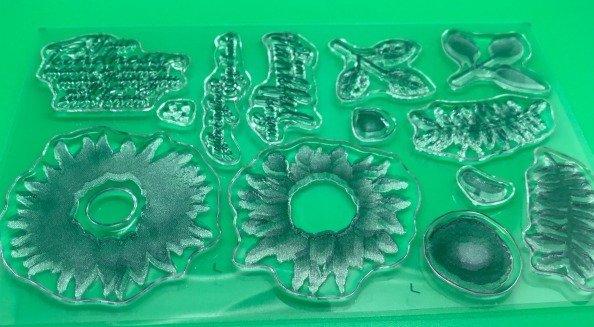 Stamping is a fun and creative hobby for all ages and is widely used in card making. Rubber stamps for card making are either mounted or unmounted. 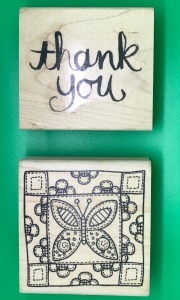 Mounted stamps arrive ready assembled on a wooden block with a picture of the image on the top. Older stamps may also have a wooden handle to help distribute the pressure of the ink from the stamp to the paper. Rubber stamps are also sold unmounted with wooden blocks for permanent self assembly. Mounted stamps take up a lot of storage space and are more expensive. A cheaper option is the rubber cling mounted stamps. 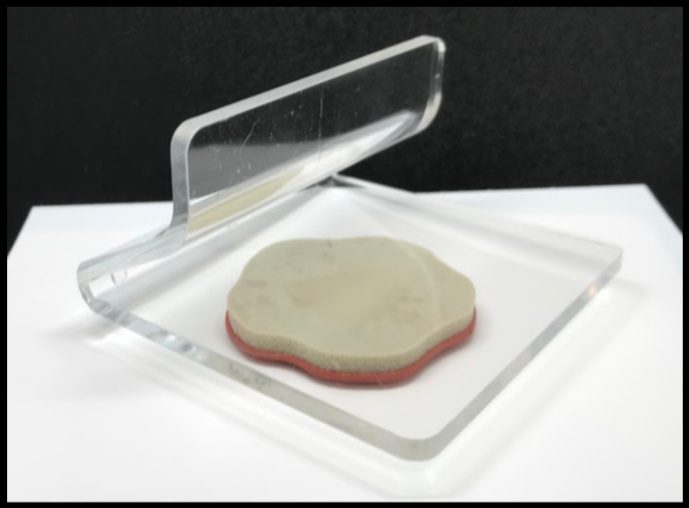 These are repositionable for mounting on reusable acrylic blocks. As they are removed from the blocks after use they are less bulky and easier to store. Rubber is tough and if the stamps are cleaned correctly should last you a long time. Acrylic blocks are a one-time purchase as they never wear out. They are available in a variety of sizes for different sized stamps. 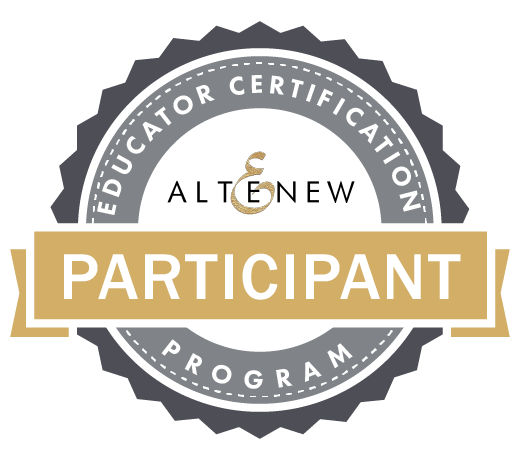 Clear stamps or acrylic/photopolymer stamps are transparent and flexible. 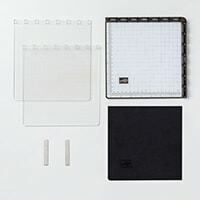 They are used with reusable acrylic blocks. So, what’s the advantage of the clear stamps? As the stamps and blocks are clear you can see where you are stamping. This allows for greater accuracy. The shape of the stamps can be manipulated into a different shape. This is useful for sentiments. Clear stamps are easier to store. They take up less room as they are removed from the acrylic blocks and stored on plastic backing sheets. The downside is that they don’t last as long and are more likely to stain. 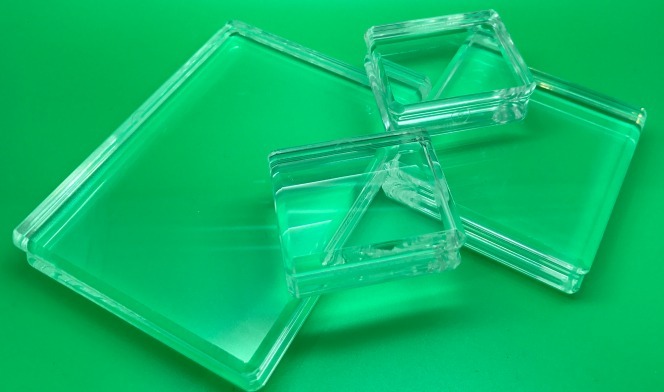 Acrylic blocks come in all shapes and sizes. The Stampin Up! blocks have a ridge on the outside and Lawn Fawn blocks have indentations on the outside for your fingers. The award winning lightweight Clarity Mounts have an ergonomic design especially for people with dexterity issues. They are available in different sizes and can be used with all types of stamps. 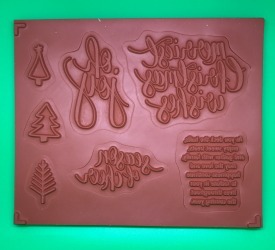 The Friskars Stamp Press is like a large acrylic block. You place the stamp underneath and press down on the top. It is designed to allow for even pressure making it easier for someone with arthritic hands. A Stamping Platform allows you to accurately position your stamps. The stamp sticks to the inside of the lid and closes down onto the paper. The paper is held in place with strong magnets. 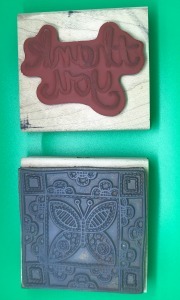 The advantage of a stamping platform is that it allows you to stamp again if the image isn't clear. It is also useful when making multiples of the same card. A great tool that is helpful for anyone with poor hand pressure or with the use of one hand. Popular makes include: the MISTI, the Stamparatus (from Stampin Up!) and the Tim Holtz stamping platform. You Tube is a great source of videos on how to use a stamping platform. It is important to clean your stamps after use and store them correctly. Wipe stamps with damp kitchen towel or an alcohol free baby wipe. Rubber stamps can be cleaned gently with a toothbrush and water. Be careful not to soak the wood. The best method is to use a specialist stamp cleaner as it also conditions the stamps. This can be used with a stamping scrub. Some inks will stain your stamps especially the darker colours. This doesn’t affect the stamped image. Once clean store your stamps out of direct sunlight. Rubber stamps should be stored rubber side down. Clean stamps are stored on a stamp sheet sometimes in a plastic box (CD or DVD box) or wallet. Tap your stamp onto the ink pad - don't pull it across the ink pad. For larger stamps turn the stamp upside down and tap the ink pad to the stamp. Stamp on a firm surface. For clear stamps you might prefer to use a stamping mat. Press your stamp with an even pressure. Test your inked stamp on scrap paper before stamping on your card.